1. This submission focuses on the situation for human rights defenders (HRDs) in Bolivia and covers developments from October 2014 to March 2019. Judicial harassment, with a particular focus on indigenous and environmental leaders and their supporters and defenders. 3. It is important to note that Front Line Defenders has regularly received information regarding defenders working on LGBTI, women and indigenous peoples’ rights who are not only targeted by State authorities, but are also increasingly subjected to additional harassment and attacks by non-state actors, such as religious groups and companies. 5. At the beginning of 2018, a proposal to reform the Criminal Code resulted in a general doctors’ strike, which led to a new wave of protests in the country. The protesters demanded respect for the 21F Referendum, and also included demands related to corruption, discrimination against women and indigenous peoples and freedom of expression, among other human rights issues.3 Even after the initial proposal was withdrawn, the protests did not stop and were subsequently met with repression. Authorities often made use of non-lethal weapons and arbitrary detentions in order to disperse the protests. 6. Despite having a strong background in the historical struggles of indigenous peoples, Evo Morales has faced criticism regarding the government’s economic development policies which have appeared to privilege national elites to the detriment of local communities. HRDs highlight that social conflicts are often treated as isolated incidents of disputes over resources, land or indigenous people’s rights rather than being seen more broadly as a result of these economic policies. Due to the polarised political environment, human rights issues are often politicized and the national government has frequently treated demonstrations of discontent as orchestrated attempts from right-wing interests to destabilise the presidency of Evo Morales. 8. During its previous review, Bolivia accepted 17 recommendations regarding judicial reform and access to justice. The delegation of Germany recommended the initiation of “a comprehensive set of measures to address existing inefficiencies within the judicial system, including ensuring efficient prosecution and crime prevention while guaranteeing judicial independence, including that of the constitutional court.” Nonetheless, access to a fair justice system remains one of the biggest challenges that local HRDs have had to face during the period under review. The misuse of state mechanisms to hamper access to justice for those working on human rights issues is notable, in particular in cases where threats of criminalisation and judicial harassment is used to intimidate lawyers working on the legal defence of HRDs (see below). 10. Bolivia also accepted 16 recommendations on the issue of discrimination, with regard to the treatment of indigenous peoples, women and LGBTI persons. While Ireland’s recommendation to “(e)xpeditiously and fully investigate and prosecute acts of violence and discrimination targeting women, indigenous, and lesbian, gay, bisexual, transgender and intersex (LGBTI) persons and guarantee an effective remedy to victims and their families” was accepted and claimed to be already under implementation, Front Line Defenders has received a number of communications that indicate a lack of proper implementation. Women human rights defenders (WHRDs) in the country are still subjected to gender-based attacks, especially those working on sexual and reproductive rights. LGBTI HRDs also face high levels of discrimination, despite constitutional provisions against it. Despite the national government’s efforts to improve the treatment of indigenous persons, these populations still face disproportionate rates of poverty and unemployment – and HRDs who attempt to change the situation are often met with intimidation, threats and attacks. On a positive note, in March 2018 Bolivia signed the Escazú Agreement alongside other Latin American countries, committing itself to promote popular participation and strengthen the protection of environmental rights defenders. 11. During the previous cycle, Bolivia received only one recommendation regarding the protection of human rights defenders, by the Czech Republic: “Ensure the protection of human rights defenders and journalists as well as efficient and impartial investigation of threats and attacks targeting them”. The national authorities noted it and replied that the recommendation was not up to date, and did not reflect the current situation in Bolivia. However, Front Line Defenders has received a number of reports that point to the continuation of a pattern of a lack of protection, lack of investigations and even direct attacks and harassment perpetrated by state security forces against HRDs. 13. Additionally, local NGOs have faced bureaucratic challenges to register or receive a permit, without which they cannot receive funding.b This is the case of the Documentation and Research Center of Bolivia (CEDIB) and a number of organisations which have lost their registration and have failed to obtain legal personality. After a series of attacks against it, in November 2017, CEDIB, an NGO with a history of 45 years dedicated to research on human rights and natural resources in the country, received the news that its bank accounts had been frozen by court order at the request of the Financial System Supervision Authority (ASFI).7 The sanction was applied without the organisation having received a judicial notice in advance. 14. HRDs who engage on environmental issues have been subjected to intimidation, threats, surveillance, and criminalisation. 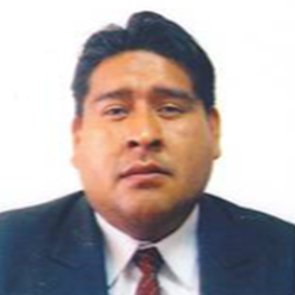 On 15 May 2018, two policemen tried to detain human rights defender and lawyer Nelson La Madrid at a bus station in Cochabamba. He was enroute from Cochabamba City to Lagunillas to be party to a litigation in the Rositas Hydroelectric Project case. The following day, a judge declared the indigenous communities’ popular action against the Rositas Hydroelectric Project inadmissible. The “Rositas Hydroelectric Project” (Proyecto Hidroeléctrico Rositas) is promoted by Bolivia’s Electric National Company (Empresa Nacional de Electricidad de Bolivia ENDE) in indigenous territories without their free, prior and informed consent. The communities have opposed the project because it will flood approximately 45,000 hectares of land, leaving the territory of twelve Guaraní communities (approximately 500 families) under water. 15. While dispersing a protest in February 2018, police shot a tear gas cannister directly at Franco Albarracín, lawyer and member of the Permanent Human Rights Assembly (Asamblea Permanente de Derechos Humanos), which left him injured8. Franco Albarracín is the son of Waldo Albarracín, former Human Rights Ombudsman and Dean of the Universidad Mayor de San Andrés (UMSA), who was subjected to threats due to his criticism to the government of Evo Morales during his term as Ombusman. 18. Judicial harassment is one of the most common forms of retaliation used against HRDs in Bolivia, with particular focus on those working on indigenous peoples’ and environmental rights and government accountability claims. Lawsuits and charges against HRDs appear to have been used in retaliation for the role of the accused in denouncing crimes and human rights violations rather than due to a genuine violation of the law. Although in the majority of cases the HRDs are later found innocent, they still have to commit human and financial resources to attend court and obtain proper legal defence, keeping them busy and away from their human rights work. 19. In 2015, Quechua indigenous leader from the National Council of Ayllus and Markas of the Qullasuyu (Conamaq) Tata Félix Becerra was imprisoned due to his involvement in protests against the construction of the road across the TIPNIS National Park. The HRD was placed in La Paz, away from his community and family in Cochabamba, and without full access to a legal defence. In 2017, three university students were detained and charged for protesting alongside women from Achacachi in La Paz, whose demonstrations were brutally repressed. On that occasion, WHRD Violeta Tamayo was severely beaten by police, and subsequently faced charges of obstructing the work of the police forces and causing light injuries to police officials. 21. In 2017, former diplomat and human rights defender Pablo Solón faced criminal charges brought by government officials. He was accused of illegally naming state representatives and not fulfilling his duties while in charge of the Bolivian mission for the United Nations in 2011.12 Pablo Solón has been targeted for his human rights work since leaving his diplomatic role in order to dedicate himself to environmental rights organisations Fundación Solón (Solón Foundation) and Observatorio Boliviano de Cambio Climático y Desarrollo (Bolivian Climate Change and Development Observatory). Consider adopting a public policy, in close consultation with civil society, that addresses the issue of security and protection of HRDs, including the creation of a Mechanism focused on protecting HRDs’ ability to defend human rights and not merely on direct physical protection. This should include analysis on collective protection and a gender perspective, amongst others. a In a previous case from December 2013, Danish NGO IBIS was expelled from Bolivia amid accusations of “performing public management” and “misinterpreting its mandate”. The organisation had been working on the country since the 1960s, promoting education and democratic engagement in rural areas. b The State’s repression of human rights activities also involves the use of arbitrary administrative sanctions and fines, that often absorb the organisations’ already limited resources. Human rights NGO CEGIS was fined the equivalent of 150,000 euros on false allegations of not paying work fees from 1988 to 1991. The organisation has suffered several attacks in the past, including an arson attack by ultra-right wing groups in 2008, which resulted in the loss of all their files from previous years.